1881: Wilhelm Julius emigrated from Baltersweiler, Germany with 4 of his 6 children to New Albany, IN. The Julius family was sponsored by Jakob & Katherina (sister of Wilhelm Julius) Ritter. 1888: Jacob Julius (one of Wilhelm’s sons) married Elizabeth Rauck from the St. Joe Hill area and started their family. They raised four children (Rose, Edmund, William, and Louis) in New Albany, IN until they moved to the Hamburg Pike property in 1913. 1913: At the age of 19, William M. Julius purchased the 9 acre Hamburg Pike property with the financial help of his father, Jacob Julius. The property consisted of a house near the street, several greenhouses, potting shed with a hot water boiler in the basement and a tunnel connecting the buildings to the house. Jacob moved his family to this house and the Julius Family Horticultural History began in Jeffersonville, IN. The business was named “J Julius’ Sons”. 1914: Greenhouse production of cut flowers and bedding plants was in full swing by William M and his brothers. At this time, the family decided to open a Jeffersonville downtown florist shop to sell their flowers called J Julius’ Sons Florist. Younger brother, Louis, was to run the florist business and William M and Edmund would run the greenhouse production. Bedding plants were sold to the public at the Hamburg Pike location during the spring months each year. 1921: A greenhouse was purchased from the Indiana State Prison when it closed. The greenhouse was disassembled and moved to the Hamburg Pike property where it was reassembled and used for additional greenhouse production. 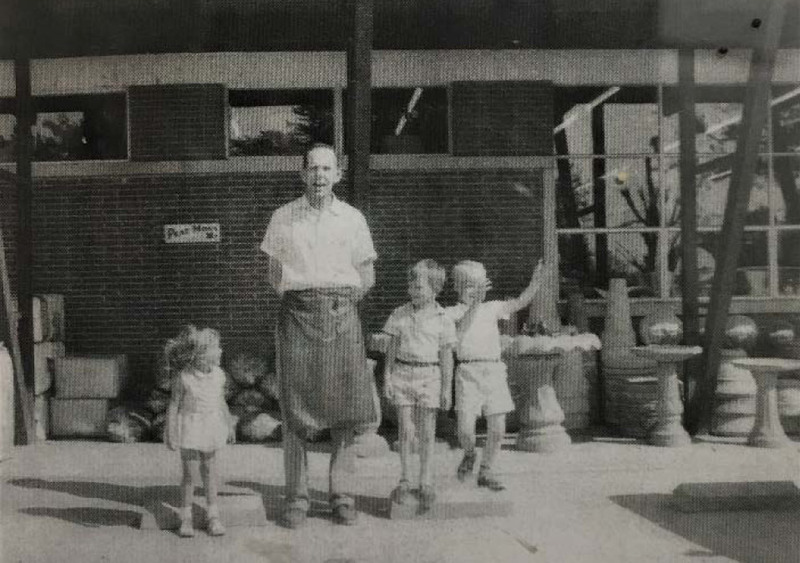 1929: J Julius’ Sons purchased property in “Midway” in Clarksville from the Hustedt family which consisted of a house and two greenhouses for growing freesia. The business now had a total of 5 greenhouses in production plus the retail florist shop. It took the entire family to run the business. After retirement, Jacob helped his sons in the greenhouses until his death in 1939. 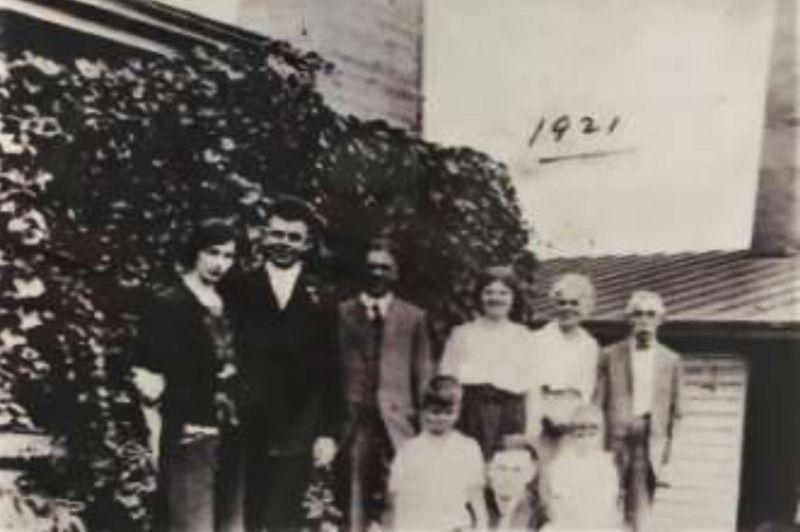 1930: The Julius Family worked together as the years went by. These young men had married and started families. The German family motto was immer arbeiten which means “always working”. Not only were the men working, but so were the women right beside them. Everyone helped the business survive and grow, establishing a well-recognized name in the local area. 1937: The Julius’ Sons Florists at 109 Maple St in downtown Jeffersonville was completely submerged in the flood waters of the 1937 flood in January, 1937. Flood waters also reached the greenhouses on Hamburg Pike in February. 1937. The family evacuated to Walnut Ridge Cemetery caretaker’s house until they could return to their homes. 1941: The beginning of WWII touched the lives of the Julius families. William M’s son, Bill, and Edmund’s son, Edmund P, entered the military services to fight for our country’s freedom. 1946: Both Bill and Edmund returned from overseas service and entered the family business with their fathers and uncle. 1952: The original business, J Julius’ Sons (greenhouse and florist shop) was split into two businesses. Louis took ownership of the florist shop, retaining the name J Julius’ Sons Florist and the Midway property in Clarksville (minus the two greenhouses). William M, Edmund, Bill, and Edmund P took ownership of the Hamburg Pike property. 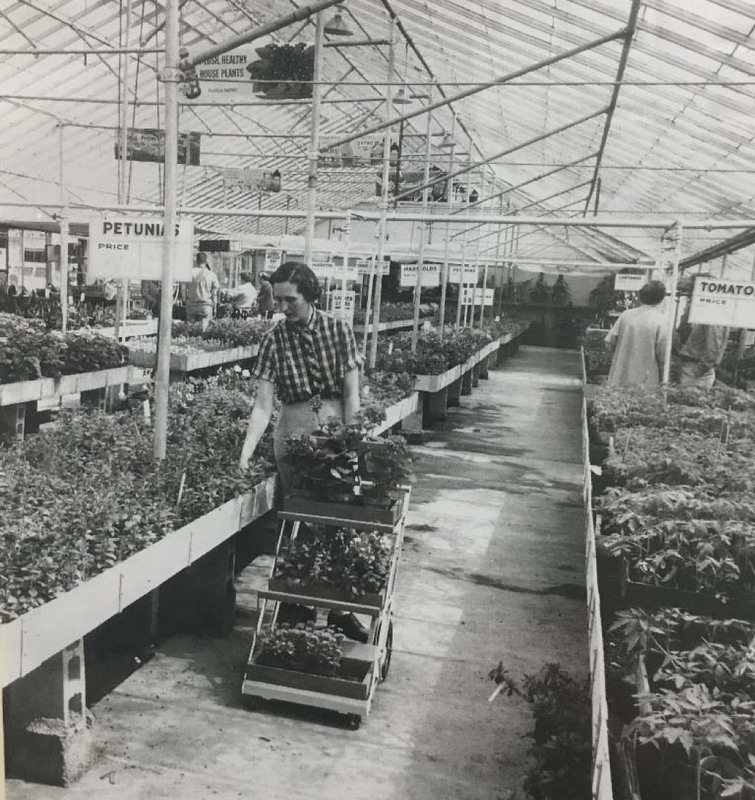 At that time the 2 Midway greenhouses were moved and reassembled on Hamburg Pike. The name for this location was Walnut Ridge Greenhouses. 1953: Walnut Ridge Greenhouses’ main focus was as a wholesale supplier to the retail florist trade in the surrounding area. However, there was a new trend coming on the scene in the United States – local garden centers. 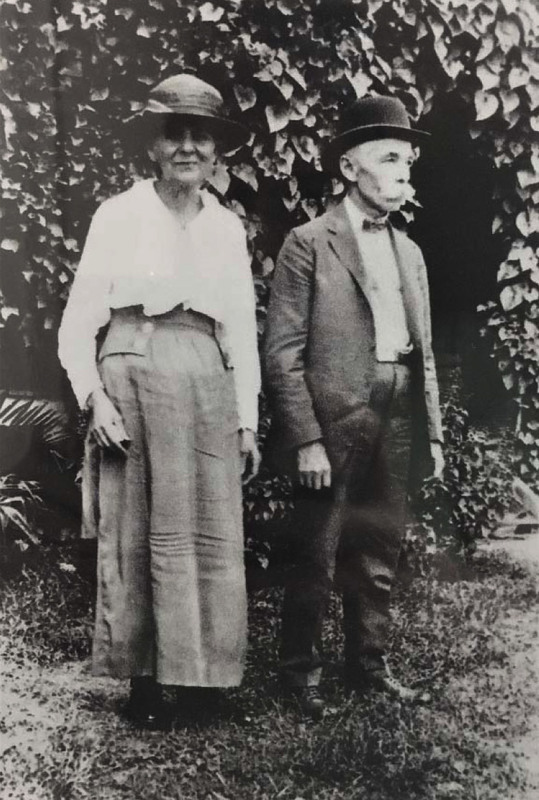 The young men and their wives opened the first garden center in the Kentuckiana area that was not part of a tree and shrub growing nursery. 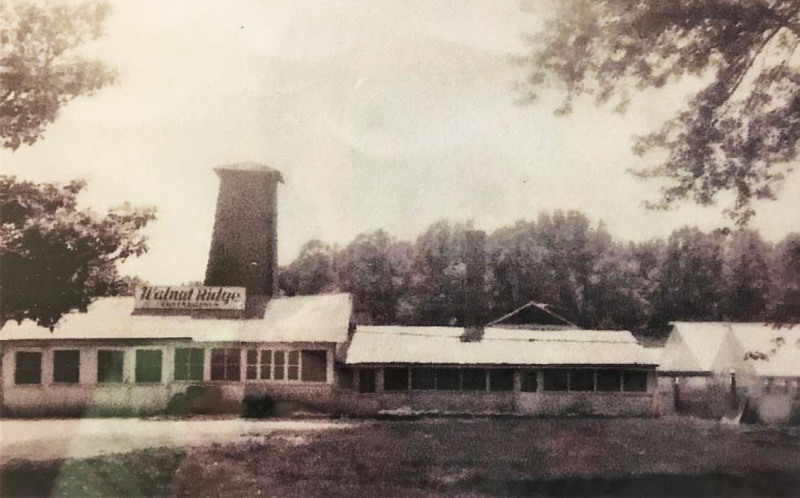 Walnut Ridge Garden Center opened for business in the Fall of 1953. 1960: A second Garden Center was opened on the banks of Silver Creek at the east end of New Albany. Although the store bore the name of Walnut Ridge Garden Center, it was always referred to as “The New Albany Store”. A long time employee named Barry Phillips took over as manager and remained there for well over 20 years. By this time the Garden Center’s products and services had expanded to also include a tree and shrub nursery as well as Christmas décor. 1963: Ideas were put into motion to build and locate two portable Greenhouses to be set up as temporary Spring Garden Center locations in Louisville, KY. For the next 5 years, each spring Walnut Ridge located these two portable greenhouses in the Dixie Highway and Preston Highway areas. 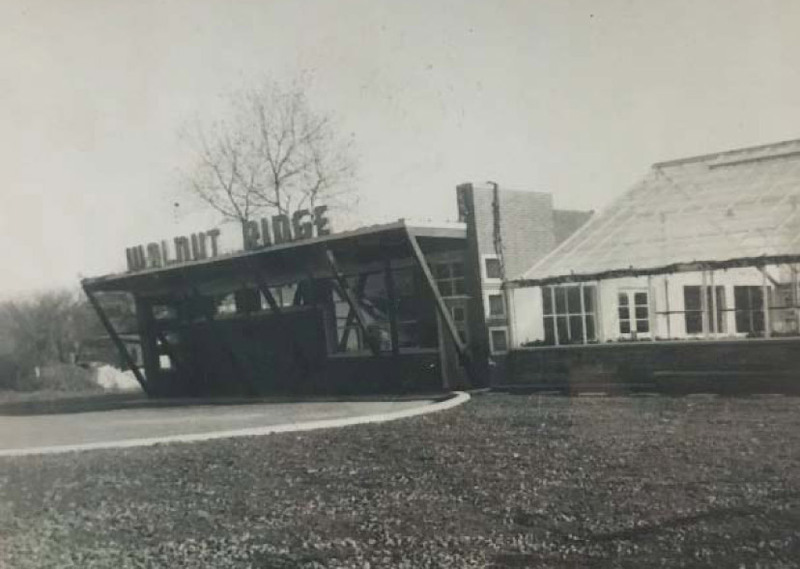 1964: Walnut Ridge established a small Landscape Department at the Hamburg Pike location as a service to our Garden Center customers. 1965: The New Albany Walnut Ridge Garden Center began selling swimming pools, patio furniture, and leisure living items along with their plant and garden center items. 1974: David Julius and his wife, Cecilia Day Julius, joined the family business. David graduated from Purdue University with a degree in Landscape Architecture. His first priority was to set up and run the Walnut Ridge Landscape division of the business. Cecilia joined Barbara Julius in managing the accounting department. 1980: Douglas Julius joined the family business. Douglas graduated from Purdue University with a degree in Horticulture. He entered the business as the assistant manager of the New Albany Walnut Ridge Garden Center. 1980: Dennis Julius joined the family business. Dennis graduated from DuPage Horticultural School in Chicago. He entered the business to oversee and expand the greenhouse growing operations of Walnut Ridge Greenhouses. 1981: Debbie Julius joined the family business. Debbie graduated from Bellarmine University in Speech and Hearing Therapy along with a Master’s Degree in Speech Therapy from Indiana University. After five years of teaching she entered the business to run the silk-floral, collectible, and Christmas departments. 1984: Walnut Ridge Greenhouses now consisted of two garden centers, a growing landscape department serving the Kentuckiana area, the largest seasonal Christmas displays in the area and over two acres under glass and plastic at the Hamburg Pike location, producing several million plants a year. 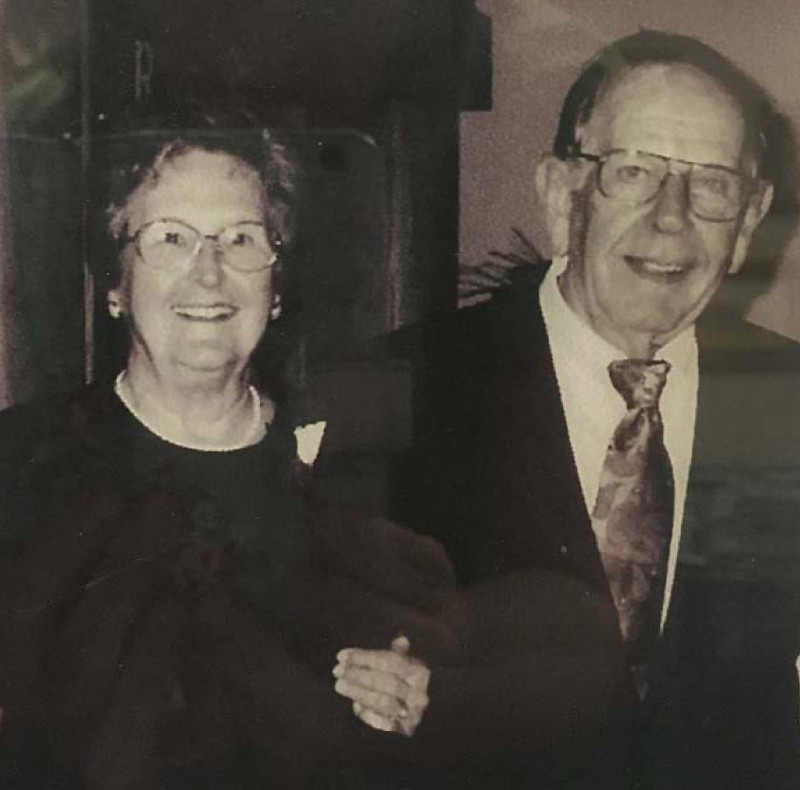 Bill and Barbara Julius had been joined by four of their five children plus spouses in growing Walnut Ridge Greenhouses. The family tradition lives on in this next generation. 1986: Barbara Read Julius, wife of Bill, retired from all her duties at Walnut Ridge Greenhouses. She helped build this business working side by side with her husband; she managed the accounting department and raised 5 children. 1987: Walnut Ridge opened a seasonal Spring Outlet Garden Center in Madison, IN. It opened each March and closed at the end of June each year from 1987 – 1989. 1987: Walnut Ridge opened a Garden Center at Highlander Point in Floyds Knobs, IN. It was managed by long time employee, Jeanne Boyd. It was opened from early spring 1987 through the summer of 1989. 1988: Walnut Ridge opened their first seasonal mall Christmas Shoppe in Bashford Manor Mall. From 1988 through 2008. Walnut Ridge had seasonal Christmas Shoppes in 8 different malls in the Kentuckiana area (Bashford Manor, Green Tree Mall, Chenoweth Plaza, Mall St. Matthews, River Falls, Jefferson Mall, Oxmoor Center, and a Christmas kiosk in Biggs in Middletown). The most seasonal shoppes open in one season was 4 seasonal mall shoppes plus the Jeffersonville main store for a total of 5 locations. Seasonal mall Christmas Shoppes were discontinued in 2008. 1989: Bill Julius, original owner, retires and turns the business over to the next generation. The business had grown to it’s current level due to his innovative ideas and passion for the horticultural and garden center business. 1990: Walnut Ridge Greenhouses, Inc is split into two separate businesses. A new corporation is formed: Walnut Ridge Pool and Patio, owned by Doug Julius, and Walnut Ridge Greenhouses, owned by David Julius, Cecilia Julius, Debbie Julius, and Dennis Julius. Walnut Ridge is now in the hands of the third generation of the Julius family. 1995: Walnut Ridge Greenhouses, Inc opened a new division called Ridge Wholesale Nursery at the Hamburg Pike location. The sole purpose of this division was to supply trees and shrubs to the surrounding landscape and garden center businesses in Kentuckiana. 1996: Walnut Ridge adds a Lawn Maintenance Division to their Landscape & Design Department. This area is managed and developed by Chris Kane. 1999: Brian Julius, son of David and Cecilia, joined the family business. Brian graduated from the University of Southern Indiana with a degree in Business. Growing up in the greenhouse/garden center business, he began his career with lots of first-hand experience when joining the growing Landscape & Design Department. 2002: A second Ridge Wholesale Nursery opened in the east end of Louisville, KY on Frahlich Lane. 2008: A third Ridge Wholesale Nursery opened in Evansville, IN. 2010: Michelle Beal Julius, wife of Brian Julius, joined the family business. Michelle graduated with a degree in Social Work from the University of Southern Indiana along with a Master’s Degree in the Science of Social Work from UofL. She entered the business to assist Cecilia in managing the accounting department for Walnut Ridge Greenhouses. 2013: The Julius family celebrates 100 years of being the horticultural business at this Hamburg Pike location in Jeffersonville, IN. The garden center offers the largest selection of garden center merchandise, annuals, perennials, nursery stock, landscape services, Christmas Decor and collectibles to the southern Indiana and Louisville, KY areas. We are proud members of the Indiana Nursery and Landscape Association, the American Nursery Association, and Garden Centers of America. We have received awards for our charity work and were named the largest landscape firm in Louisville, Ky and the southern Indiana area. We support our community and our local schools by sponsoring sports teams and through contest and product donations the fourth generation of the Julius family becomes involved in the business, we want to thank our loyal customers who have helped make this milestone possible. We have been blessed with many knowledgeable, creative, and hardworking employees throughout the years. Many thanks to all!